As a mid-level manager, you work hard every day to successfully guide your team and set every individual up for success. However, do your management actions and decisions also aim to accomplish your organization’s overall business strategy? If not, there is a major disconnect that needs to be resolved. Having the ability to think more strategically and in-line with company goals and objectives is an important part of every manager’s job. However, mid-level managers often struggle with how to translate strategy into daily operational execution. First, it is important to understand the elements of a good company strategy. A solid strategy should include pertinent data and market intelligence, competitor analysis, market share and competitive advantage information, future market analysis, and a customer/client acquisition and retention strategy. It is important to understand each of these elements and be able to explain them to your team so they will understand the role they play in helping the organization succeed. What is the strategy of my company and why? What was the planning process used to create this strategy? Do I understand our markets, competitors, customers and our competitive advantage? How can I help communicate the strategy and manage my people so they understand how their work contributes to the strategy? 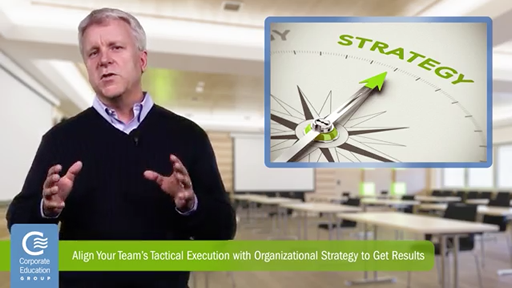 How can I bridge my team’s work to accomplishing the strategy through aligned day-to-day execution of the business? Remember, a good manager is someone who effectively leads their team, but a great manager is a lot more. They are also a vital part of making the company’s overall strategic goals a reality.